A hunter in Alaska was attacked by a grizzly bear on Saturday, but spared serious injury when his partner shot and killed the bear. The incident occurred on Chichagof Island near Neka Bay. Josh Dybdahl, 30, was hunting deer with Anthony Lindoff, 36, when the bear charged from the brush and pinned Dybdahl to the ground. According to KTUU, the grizzly with her two cubs. The men heard a “whoof” before the bear charged, presumably after being startled. After pinning Dybdahl, the bear head-butted the man, while Lindoff retrieved a rifle from his pack and shot the bear. The men contacted the Coast Guard and Dybdahl was eventually treated at Bartlett Regional Hospital for non-life-threatening injuries. It remains unclear what will become of the bear cubs. When a grizzly bear approaches a bus full of tourists it can be an exciting, tense occasion. But when the approaching bear begins to roll playfully down a grassy hill, it seems, all tensions are eased and laughter erupts. The accompanying footage was captured recently in Alaska’s Denali National Park, showing a bear acting rolling lazily down the slope and even pausing briefly to play dead. It remains unclear whether the bruin was simply enjoying a carefree moment in the sun, or had recently discovered the magic berry bush. But the Denali tourists were clearly amused, and David Pangborn's video was being shared widely since it was uploaded to YouTube on Sunday. In less than 24 hours, it had garnered more than 138,000 views. Close encounters with whales produce a wide array of reactions, but one man’s reaction to discovering a pod of humpback whales emerging to feed very close to his boat was much different than the typical “Wow!” response. The accompanying footage, which contains brief profanity, is undoubtedly producing lots of smiles as it begins to circulate on the Internet. Tony Flanders and Brad Rich were fishing off Seward, Alaska, when the whales began to lunge feed at the surface, their heads emerging with gaping mouths, creating quite a spectacle. For Flanders, the awesome display at such close quarters was just too much, and he began to laugh hysterically. "Oh my God, they're right in front of us!" he begins. 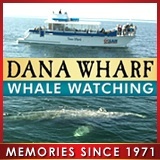 Rich is quoted by Azula as saying, “”I knew that humpbacks do this group feeding. So I knew what was happening as soon as it happened. Visitors to Alaska marvel at the vastness of the wilderness, the breathtaking scenery, and bountiful wildlife. But each spring and summer, a natural phenomenon known merely as the bore tide along Turnagain Arm, on the Cook Inlet south of Anchorage, becomes an attraction that’s dazzling in its own right. The accompanying footage, captured earlier this week by Alex Ede and shared by the Alaska Dispatch News, reveals the surreal beauty of the tidal bore, featuring paddleboarders enjoying their rides while surrounded by snow-streaked slopes. A tidal bore occurs when the leading edge of an incoming tide collides with the outgoing tidal flow, creating a wave that flows upward in a narrow channel or bay. The Turnagain Arm, because the east-to-west waterway is so narrow and boasts extreme tidal fluctuations, is among only a handful of locations around the world where a significant tidal bore wave occurs. According to the Alaska Public Lands Information Center, the best spots to view the Turnagain Arm bore are Beluga Point, Indian Point, Bird Point, and Girdwood. All are accessible from Anchorage. According to the Alaska Dispatch News, the paddleboarders in the video are cruising at about 7 mph, and that surfers and paddleboarders can sometimes ride the wave for up to 40 minutes. Ede’s footage was captured near Girdwood on Monday at 7:30 p.m.
A float plane pilot’s sharp vision and reflexes appears to have saved a collision between the landing aircraft and a surfacing whale in Southeast Alaska. The close call occurred July 10 in the community of Angoon, and was videotaped by Thomas Hamm of San Diego, California. In the footage viewers can see the pilot adjust to the sudden presence of the whale just as the airplane is about to touch down, and as the whale comes up for a breath. The float plane serves several communities in the region. Angoon is on Admiralty Island and boasts a population of 459 (not counting the whales), and is reachable only via float plane. A Southern California angler visiting Alaska has landed one of the largest halibut ever caught, and could be in the running for a world record were it not for the manner by which the 482-pound fish was subdued. Jack McGuire, 76, who is from Santa Ana, reeled in the barn-door-plus halibut after a 40-minute fight while fishing last week with three friends out of the remote port of Gustavus, near Glacier Bay. The International Game Fish Assn. lists a 459-pound halibut, caught out of Dutch Harbor, Alaska, in 1996, as the world record. McGuire’s catch will not be considered for a record because it was shot and harpooned—grounds for disqualification—before being hauled on to the 28-foot charter boat, Icy Rose. However, that method of dispatch is deemed safest among veteran Alaska captains when trying to subdue giant halibut, which are powerful and dangerous if hauled onto the boat with just a gaff, or series of gaffs, leaving them too lively. Halibut flopping violently on decks have been known to inflict serious damage to vessels and their equipment. They've also injured a fair number of crew members. The largest known Alaskan halibut, caught by an angler, weighed 495 pounds. McGuire supported Phillips’ decision to shoot the fish—“I wasn’t planning to catch a world record,” he said—so it could not hurt anyone aboard the relatively small charter boat. The 95-inch halibut yielded 200 pounds of meat, which was divided evenly among McGuire and his three friends. Remember the recent story about an Alaska rockfish that was estimated to be 200 years old, give or take a few years? It turns out, after dissection by Alaska Department of Fish and Game biologists, that the state-record 39-pound shortraker rockfish was only 64. That's still pretty old for a fish, but hardly ancient and not remotely close to the state age record: a rougheye rockfish that was determined to have been 205 when it was hauled from the depths. Kristen Green, a state fisheries biologist, explained that it's impossible to accurately guess the age of a rockfish merely by visual inspection. However, by inspecting their otoliths, which are sort of like ear bones, an age determination can be made. “The otoliths are the only way to accurately determine its age,” Green told Angling Unlimited. Despite all the reports and headlines about the "200-year-old fish," and this website fell for it as well, Green had estimated the fish to be anywhere between 50 and 200. That was a smart guess and she turned out to be right. The shortraker rockfish was caught off Sitka on June 21 by Seattle's Henry Liebman. It was hooked at a depth of about 850 feet. A shortraker rockfish residing in the chilly depths off Sitka, Alaska, appears to have been doing all the right things—until it decided to bite a baited hook. The pinkish-orange rockfish, caught recently by Seattle angler Henry Liebman, weighed 39.08 pounds, which is nearly four pounds heavier than the current world record (35 pounds, 13 ounces). If the catch is approved by the International Game Fish Association, the world record will belong to Liebman. But more impressive is that the shortraker is believed to have been at least 200 years old when it was caught, and could possibly set an age record. The Sitka Sentinel reports that the rockfish probably was feeding off the coast at the time of Alexander Baranov, a famous Russian trader who helped colonize parts of Alaska. Baranov died in 1819. Tidingco said that a 205-year-old rougheye rockfish is "the oldest-aged fish" to have been documented in Alaska. Shortrakers typically live to about 175 years, but the fish caught by Liebman was abnormally large, and probably abnormally old. The 205-year-old rougheye, Tidingco said, "was quite a bit smaller than the one Henry caught. That fish was 32-and-a-half inches long, where Henry’s was almost 41 inches, so his could be substantially older." Liebman hooked the rockfish at a depth of 900 feet. "I knew it was abnormally big, but didn’t know it was a record until on the way back [when] we looked in the Alaska guide book that was on the boat," he said. The angler took the fish home and said he planned to have it mounted. Presumably, he'll list the weight and age on the plaque that accompanies the mount.